9 Croydon Road, CR3 6PA. Tel: 01883 345566. Shop Smart offer: 10% off all normal diamond products in November and December. 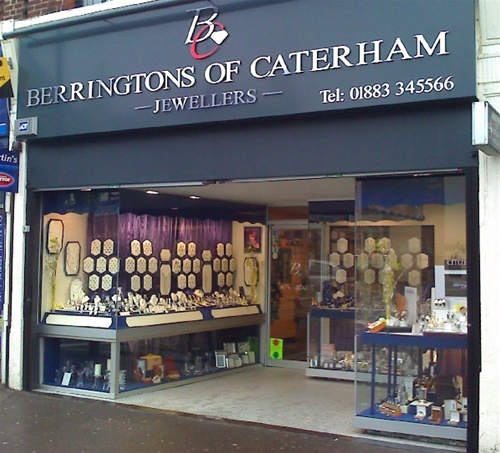 Berringtons Jewellers are an old established family jewellers in Caterham. 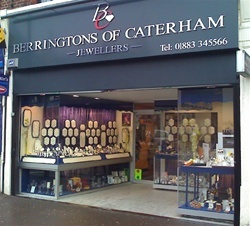 We offer a wide range of quality yet good value jewellery and expertise. Please call or drop in for a friendly welcome.